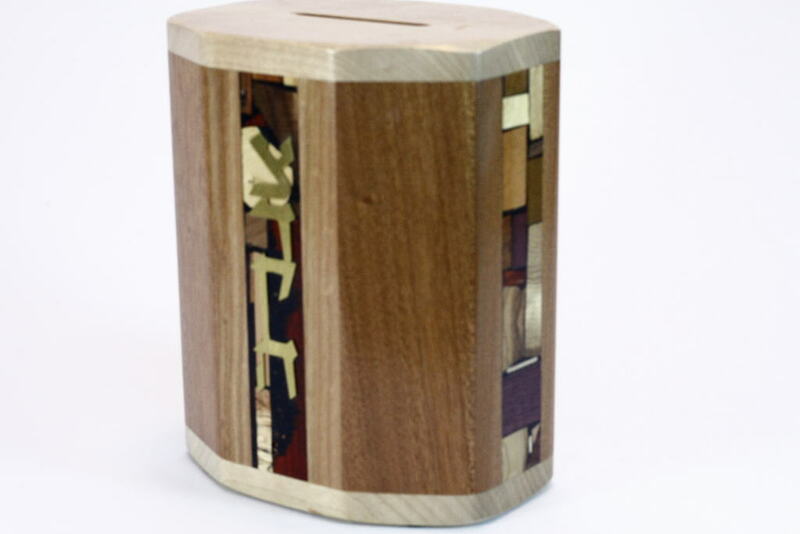 The 4 Paneled Wooden Tzedakah Box #1 features four panels of rich, multi wood mosaics. The word tzedakah (charity) in Hebrew, in brass letters, is applied to the Tzedakah Box on the front mosaic panel. 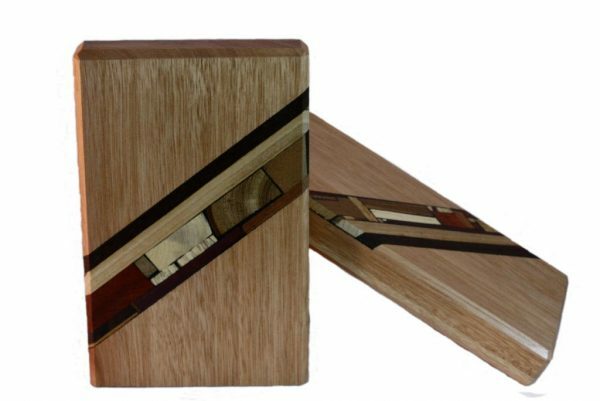 Etz-Ron’s mosaics are created from over 30 different kinds of woods from the world over. There are no stains or dyes used whatsoever. 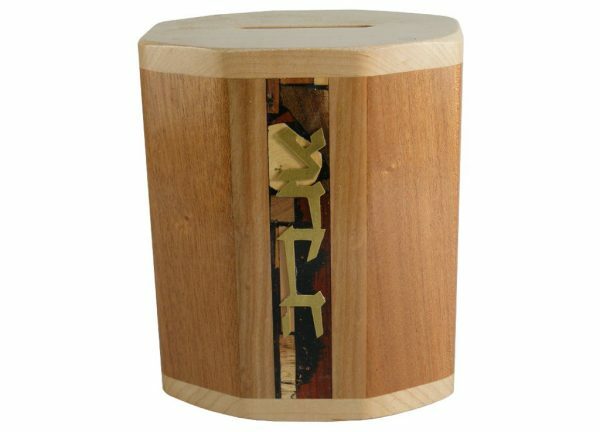 You get to experience the different grains and colors of the woods in the mosaic pattern. Using an Etz-Ron Tzedakkah Box is a beautiful way to fulfill the mitzvah of giving! 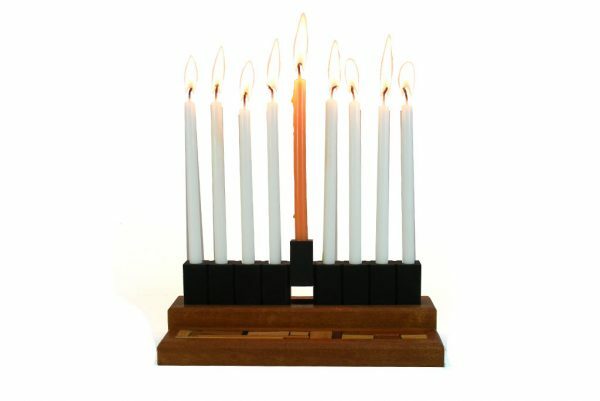 It makes a meaningful present to a bat or bar mitzvah, or donor appreciation gift. All the mosaics at Etz-Ron are hand in laid and each creation unique, you will receive a Tzedakah Box similar to this; the base woods may be different and the mosaics will be different. Contact Me if you have a special wood preference or any question.